Monaco based, Italian built. 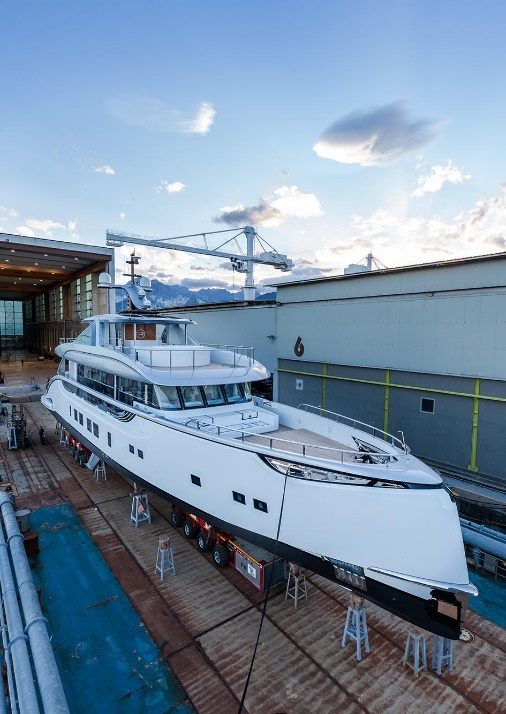 Dynamiq Yachts publicly introduced its first build the 39m (126’) “Jetsetter”, previously known as D4, this week at the Monaco Yacht Show in Port Hercules. Dynamiq was founded in 2011 by Sergei Dobroserdov with a mission to build next-generation yachts that are “efficient, chic, easy to order and effortless to customize” as well as technologically cutting edge and versatile in their cruising abilities. 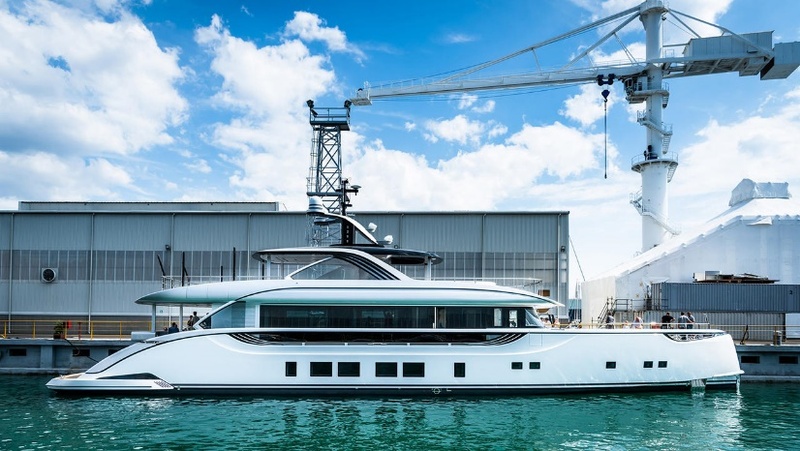 With its first build Dynamiq has combined some of the best yacht design and engineering talent in the world and successfully accomplished all of its goals, paving the way for exciting builds to come. 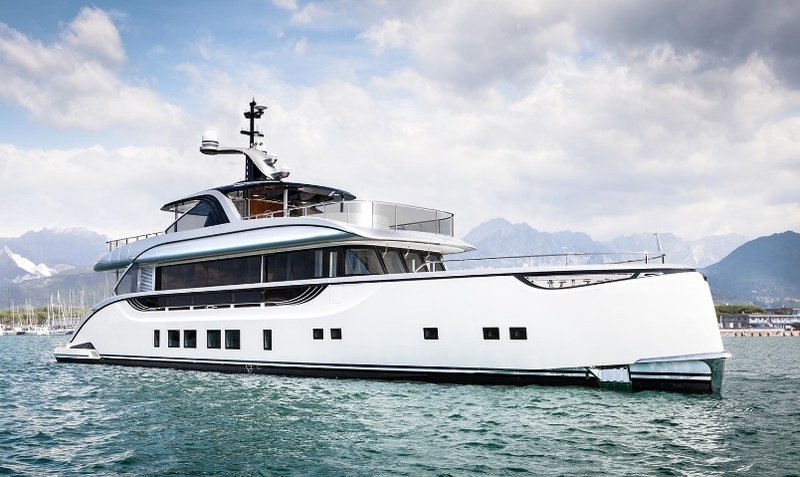 Jetsetter has been acclaimed as one of the “must see” yachts at this year’s Monaco Yacht Show thanks to the flawless execution of the advanced engineering and thoughtful design that went into the build. Netherlands based Azure and Van Oossanen Naval Architects collaborated to bring the exterior design by Dobroserdov Design to life. World renowned yacht design firm Bannenberg & Rowell is responsible for the gorgeous and sophisticated interior. Jetsetter is a true grand-touring, family style cruising yacht featuring a modified fast-displacement aluminum hull and superstructure that will allow it to cruise at 19 knots with a 21 knot top speed thanks to twin MAN engines. Bring the throttles back to 10 knots and it has a 3,000 mile, trans-oceanic range. Fully loaded it carries 25,000 liters or 6,600 gallons of fuel and 7,000 liters or 1,850 gallons of fresh water. With Dynamiq’s mission to innovate and provide cutting edge technology on its yachts Jetsetter’s MAN engines are also paired with Fortjes pod drives. With a 5’ 9” draft there are almost no cruising grounds that can’t be reached. The interior has been designed to sleep up to eight guests across four staterooms. There are also accommodations for a crew of up to six. When it’s time to relax or entertain Jetsetter delivers a five-star experience with multiple class-leading features including a 20m sundeck complete with 75” television and an ultra-premium Bowers & Wilkins surround sound system throughout. The zero-speed electronic fin stabilizers ensure that all guests will be comfortable underway and at anchor. Additional features that show the great length Dynamiq has gone to ensure a top tier yachting experience are details such as the glass used throughout the yacht. Those large windows providing breathtaking views are made of XIR glass, a laminated glass that blocks nearly all harmful UV rays and reduces heat transfer by up to 60%. This ultimately means more efficient cooling and lower operating costs. 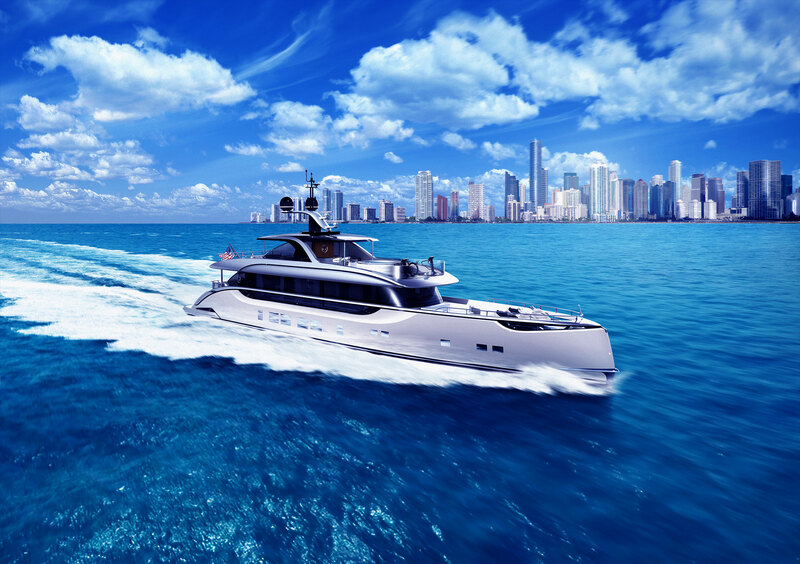 If Jetsetter is indicative of yacht builds to come for Dynamiq the company undoubtedly has a bright future ahead as it continues to deliver beautiful and technologically cutting edge yachts that will fulfill their owners’ dreams.